In 2017 the BASEC Board agreed to expand and strengthen the management team. Combining years of cable industry and technical experience with new thinking from outside the industry, the management team is now well placed to deliver the Board's vision of a truly customer focused service with global reach. Tony joined BASEC in November 2017 as Chief Executive. Prior to this, he worked as a strategy consultant providing financial, marketing and digital transformation to SMEs. Previous roles also include Group Marketing Director at ACAL plc, Managing Director at ACAL BFi UK and Director of e-business EMEAR for Epson. 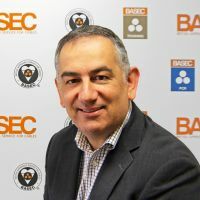 Tony was appointed by the BASEC Board to spearhead a customer focused strategy to drive growth worldwide. Tony holds an MBA in International Marketing Strategy, is an Associate of the Chartered Institute of Management Accountants and is a member of the Chartered Institute of Marketing. 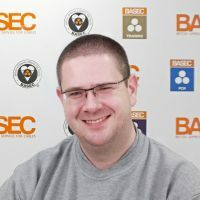 Joined BASEC's management team in March 2019, Arthur bringing a broad range of experience from a wide variety of industries. His early career was in heavy engineering and he has recently held Operations Director roles with Brammer UK, working with strategic customers in sectors including aerospace, nuclear power, renewables and automotive; as well as with Exterion Media in the Out of Home Advertising industry. He holds a B.Eng. in Mining & Mineral Engineering. In his new role Arthur will be focussed on delivering process improvement and enhanced testing capabilities within the BASEC lab facility to support growth and to enhance the customer experience. Joining BASEC’s management team in April 2018, Karen brings over 20 years’ experience as a Financial Director, Financial Controller and IT systems developer to the role. Her prior experience has been across a diverse range of businesses and industries, including Finance Director at CAL Controls Ltd, as well as time at ADT Fire & Security and GEC/Siemens Group. Karen is a Fellow Charted Certified Accountant and in her new role will be focusing on strong financial control to ensure the successful future growth of BASEC. 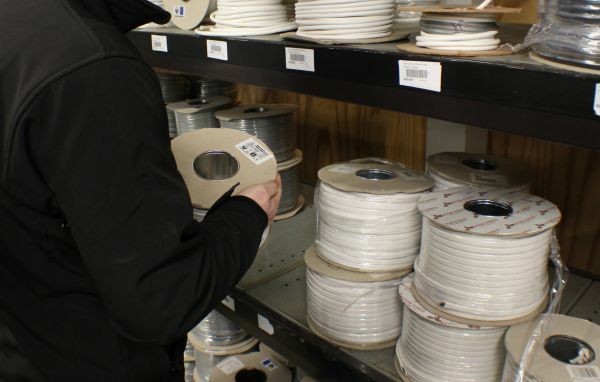 Joining BASEC as Laboratory Manager in 2012, Ian has over 20 years’ experience in the cable industry. Ian started his career at BSI, progressing from a Technician in the Cables, Electronics & Lighting laboratories to Engineer and then Laboratory Manager in charge of Cables, Electronics, Complex Electronics, Medical Electronics, Electrical Accessories, EMC, Environmental, Fire Alarm Systems and Lighting & Photometric laboratories. Heading up a team of 20+ lab technicians and chemists at BASEC, the key challenges currently facing Ian are further developing the company’s testing capabilities in sectors such as Marine, Renewables and Oil & Gas, plus ensuring the smooth transition to the new BS EN ISO/IEC 170525:2017 specification. Harpreet joined BASEC in October 2018, with experience of delivering marketing and sales activities for a number of technical and industrial sectors including: education, automotive, electrical maintenance, power, rail, facilities management, marine and oil & gas. Harpreet holds a BSc in Communications and Media. She has joined the team to grow international brand recognition; both direct to the BASEC customer base and to industry professionals from electrical specifiers to installers and end users.